You Tart! Lemon, Blackberry, Blueberry, Etc. Blessed are the curd makers. For they have it going on. I don’t know where I get off thinking that I had it going on. But about a week ago my friend Maria made this tart from scratch like it was nothing, and I think I got emboldened. Is that a word? In any case, can’t everyone just whip out a tart from scratch? Lemon curd and all? All the other food bloggers can. Most of the moms I know around these parts seem to possess the chops. No reason I couldn’t do it too, right? Well. I’ll say this much. Now that I’ve got the right tools and have done it twice, I know how to make a lemon curd. But my initial attempt, flush as I was with hubris, was a pretty hairy FAIL. And the key word here is TOOLS. Whisk eggs, egg yolks and sugar in a medium METAL bowl. Whisk in lemon juice. Set the bowl over a larger pot of gently simmering water and whisk constantly until curds thicken and a candy thermometer reads between 178 to 180 degrees. (Don’t let the bottom of the bowl touch the water. ) 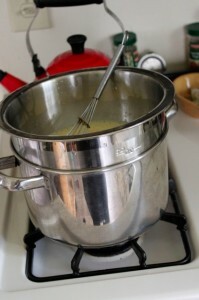 This will take about 6-8 minutes, but maybe longer if you don’t use a metal bowl (or maybe never if you use a ceramic bowl in a colander like I did the first time…) Pour the curds through a fine mesh strainer into another bowl, and add the butter. Let it sit for one minute before whisking to combine. Cover with plastic and refrigerate for about four hours. You can do this ahead up to two days, but keep chilled, obviously. 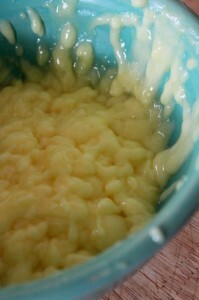 Using an electric mixer, beat butter and sugar in a medium bowl until well blended, 1 to 2 minutes. Add egg yolk; beat to blend. Add flour and salt and mix on low speed until mixture resembles large peas. 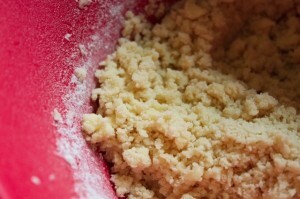 Using hands, knead in bowl just until the dough comes together into a ball. 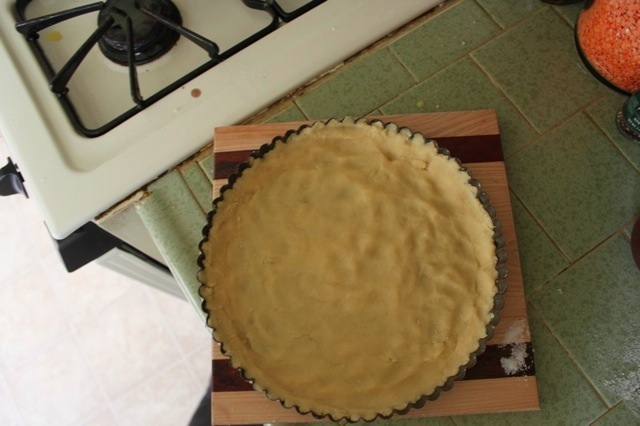 Transfer dough to a 9-inch diameter tart pan with removable bottom, pressing until it thinly covers the bottom and sides. Cover and chill for at least one hour. You can do this ahead by one day. Keep chilled. Preheat oven to 350 degrees F. and uncover before baking until golden brown, about 35 minute. Cool completely in pan on rack. Remove sides from tart pan and place crust on plate. Spread lemon curd evening in baked crust. Arrange blackberries in concentric circles….or hell anyway you want to arrange them. Same with the blueberries and raspberries, or whatever sort of berries you have that you want to include. If you want to include the jam, which I didn’t, microwave it in a small dish until just melted, then whisk to loosen and blend, adding water by teaspoonfuls in thick. Brush jam over berries. The tart can be made up to 8 hours ahead, and chill uncovered before unleashing on the world. Not terribly complicated. Unless you’ve never assembled a tart before. Or unless you’re me. This is a ceramic bowl, in a colander, over a pot of gently boiling water. Why wouldn’t it work? But it didn’t. 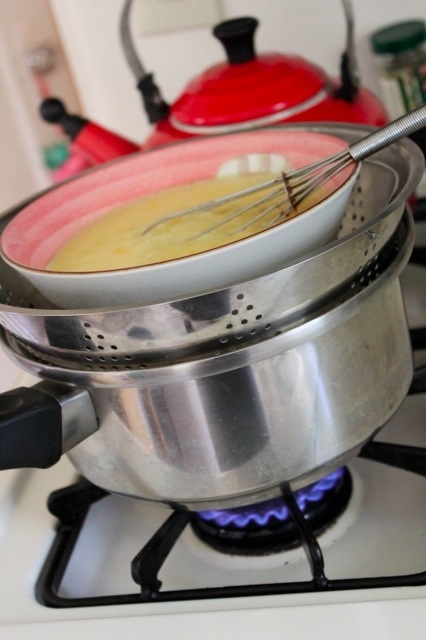 I combined the eggs and sugar per the instructions and proceeded to whisk….for half an hour. No curds. Maybe it would gel in the refrigerator? I was dubious, but what else could I do? I covered the bowl with plastic wrap and left it there for the next five hours. So I’d wasted SIX eggs for naught. And why was I surprise? Who the hell am I to think I could just nail lemon curd on the first try? Greatly annoyed, I vowed to try it again, but this time with the right tools. Good old Marshall’s. A metal bowl for less than $10 was had. And no sticker mucking up the bottom, either. And lo! the lemon curd thickened within seven minutes! And I was greatly pleased. I threw this in the fridge to chill for four hours. Meanwhile, I made the dough. Yes, in a bowl with a mixer, like the instructions said. And it worked out pretty well, surprisingly. This was touch and go for a while, since at first it didn’t seem as if there was enough dough to go around. it took awhile to press it all around and into what seemed like a fairly uniform density. My fingers actually ached afterwards. But it was worth it. Because look what I made! OK, so it looks pretty cool. But after it cooled awhile and I ate a few pieces, I realized I could have gone very much thinner with the crust. And maybe a little less eggy with the curds. I’m thinking I’m gonna try this again. Maybe for the upcoming picnics in the park. Dude! 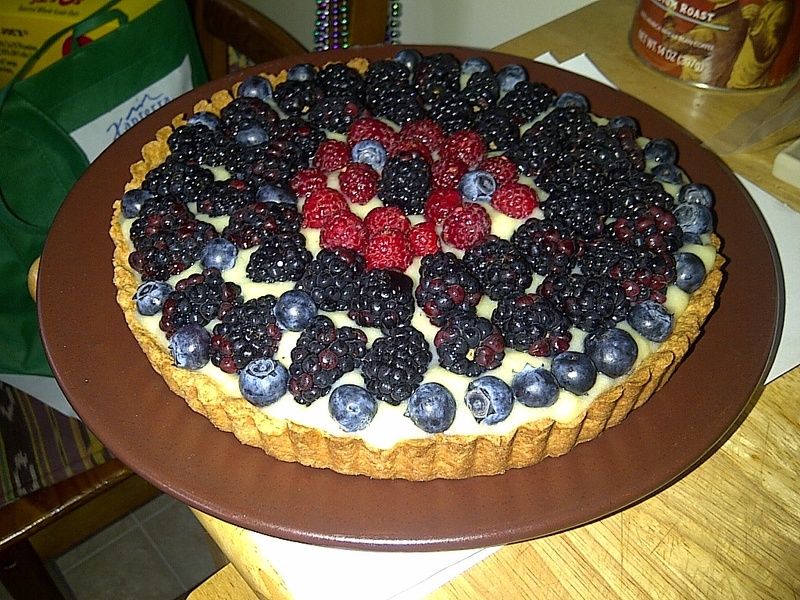 I made a TART! Yum! This looks and sounds awesome. I may have to try a tart too one of these days… if my meyer lemon tree ever produces lemons I’ll be coming back to try out this recipe.